It's the ethical thing to do, says the co-owner of Mettā. 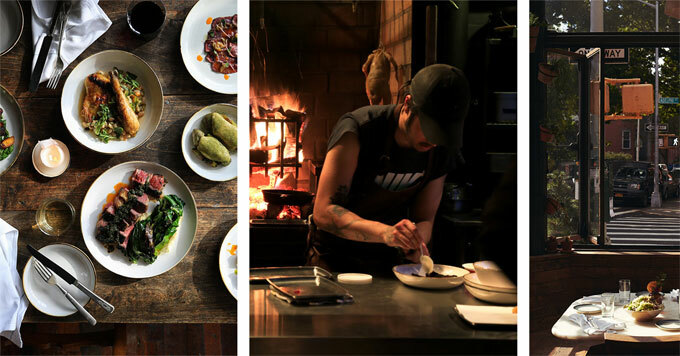 In Brooklyn, a neighborhood restaurant called Mettā opened last year. Diners come for meats cooked over a wood fire, pickled vegetables, and cocktails with ingredients like spiced cherry brine and black pepper. But co-owner Henry Moynahan Rich is devoted not only to creative cooking and bold flavors. He’s also committed to reducing carbon pollution. For starters, Mettā only uses electricity from renewable sources. But Rich says growing, transporting, and preparing food also produces a lot of carbon emissions. So to offset that impact, Mettā invests in projects to reduce greenhouse gas emissions, such as methane digesters that capture the methane from animal waste and convert it to electricity. It costs money to make these changes, but for Rich, the expense is worth it.